Spindleruv Mlyn is the most visited ski resort in the Czech Republic. There are many ski and cross-country ski runs of various difficulty levels. 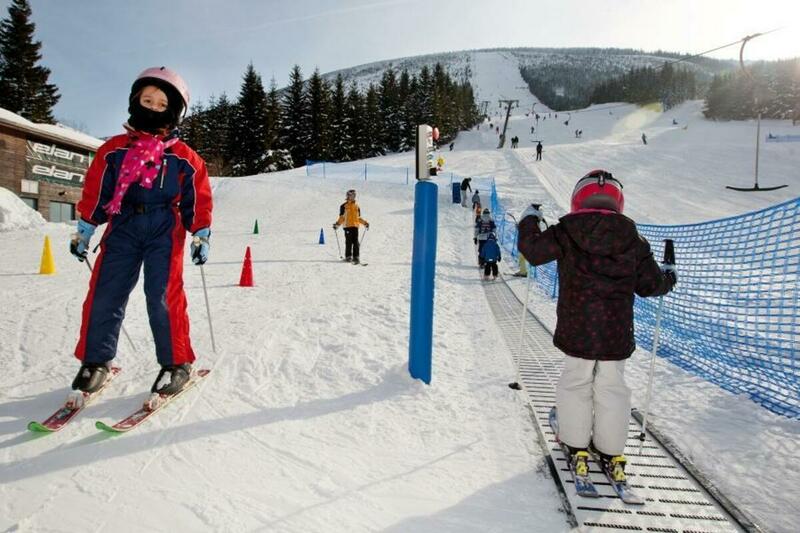 In Spindleruv Mlyn, children will not be bored thanks to a wide range of entertainment activities. 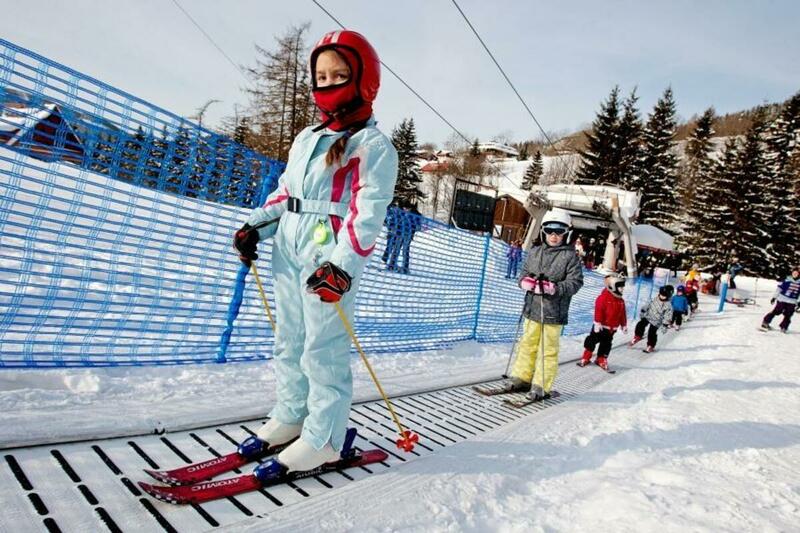 1200 metres long ski slope STOH, where not only Czech, but also foreign top skiers of all ages undergo trainings. The ski slope is perfectly maintained every day, equipped with snowmaking system and moreover you can buy local skipass at very reasonable price. It has also a great advantage in the common ticket system with ski resort Svaty Petr which enables skiers to change the slopes in the entire Spindleruv Mlyn. Regularly, ski and snowboard competitions are held in the areal, also "FIS World Criterium Masters" race took place in there. STOH - that's a challenge! 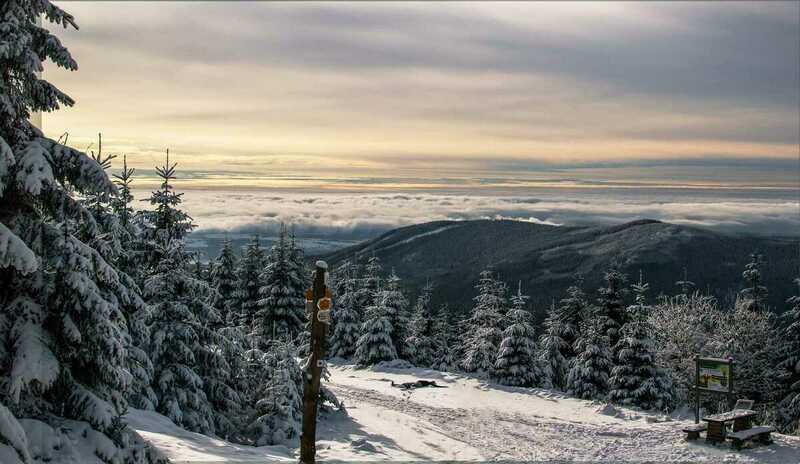 Spindleruv Mlyn - it is 25 km of professionally maintained ski slopes of varying difficulty, with artificial snow, 14 lifts and cableways and one common ski pass. It is a perfect ski resort not only for downhill skiers but also snowboarder can enjoy their time here in four snowparks. For cross-country enthusiasts up to 85 km of trails is ready, the trails diverse in dificulty from easy city circuits, race trails to all-day tours along mountain ridges. Regularly interesting events and races are held in the ski resort. Rentals and ski schools including children's parks are commonplace. Almost 3 km long track with 400 metres of cant attracts children and adults to ride on sledges. It is the longest illuminated toboggan run in the Czech Republic which will guarantee you unique experiences from your stay in Spindleruv Mlyn. The ticket price includes the rental of a sledge and a bus transfer from the city center (near the post office) to the start, which is located near Spindlerova bouda. Children under 7 years old can ride with an adult. Great attraction is Snowtubing - ride in snow tube on the on the tires. 200 meters long track with 8 bends can offer you a safe form of adrenaline experience. You can also try an evening ride on an illuminated runway. In addition, the track is for all ages and is located directly in the center of Spindleruv Mlyn. In the summer, you can look forward for the summer tubing. Frozen waterfalls in mountain valleys are a great attraction for climbers during the winter. In Spindleruv Mlyn, the place with the icefall, where you can try climbing, is located in Elbe mine. It is a site situated right in the Giant Mountains National Park, therefore there is a limitation of the capacity for using the area of the ice-water to 16 people a day. You can book a place on ice on the website of the Administration of the National Park (KRNAP). Come and try one of three ice rings in Špindlerův Mlýn. You can choose 1,5 km away ice ring next to hotel Horal or other sports areal in the centre near to restaurant Labužník or towards Bedřichov next to the restaurant Artex.